On the Buckinghamshire / Bedfordshire border, just to the north of Leighton Buzzard, you will find a vast area of woodland which covers many differently named areas. Historically, parts of this woodland would have been part of the Stockgrove Estate or the Bragenham Manor Estate. The area known as Stockgrove Country Park was opened up to the public in 1972, and then in 2011 this was joined by the adjacent Rushmere Country Park. The two are now effectively managed as one park by The Greensand Trust. The entire chain of woods, which also includes King's Wood and others, cover a total of 400 acres, with Rushmere making up just over half of this. 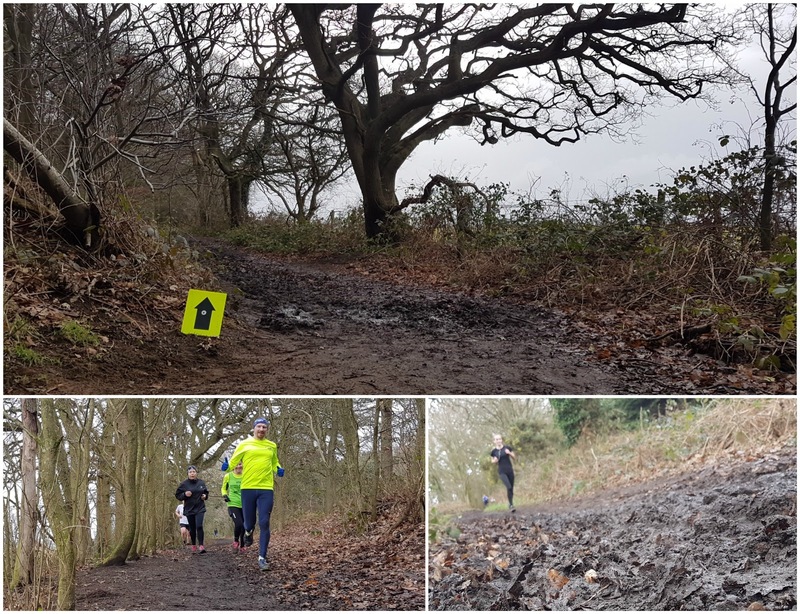 I drove over to Rushmere Country Park to take part in Rushmere parkrun as part of my New Year's Day 2018 double with Bedford parkrun which I had ran about an hour earlier (blog here). The main entrance to the woods is just off Linslade Road, which is in Bedfordshire. To enter the park in a vehicle you must pass through a barrier and drive along a fairly long, winding road which leads all the way to the car park and visitor centre. As of January 2018 there is a flat £3 charge for parking and this must be paid at the barrier machine when you exit the park (remember to have some change handy). As I understand it, the land that Rushmere Country Park sits on is owned by Central Bedfordshire Council. However, the majority of this land does not lie within Bedfordshire at all - in fact the car park, visitor centre and the entire parkrun course are entirely within the adjacent county of Buckinghamshire. Interestingly, parkrun HQ have this venue listed in the South East of England region, which means that they understand it to be within Buckinghamshire (Bedfordshire falls within the East of England region). Travel by any method other than a vehicle is a tad tricky. Cyclists can of course use the roads and there are a couple of covered bicycle stands where they can be safely secured. If attempting travel by train then Leighton Buzzard is the station to aim for - it's three miles away and it doesn't look like there are any buses to use for the onward journey. Upon arrival you will find toilets in the visitor centre just next to the car park. The main meeting point for the parkrun is on the open grass field adjacent to the car park. This is also where the first-timers briefing and then the main briefing are held. The participants are then ushered a hundred metres or so along the path to the starting point. 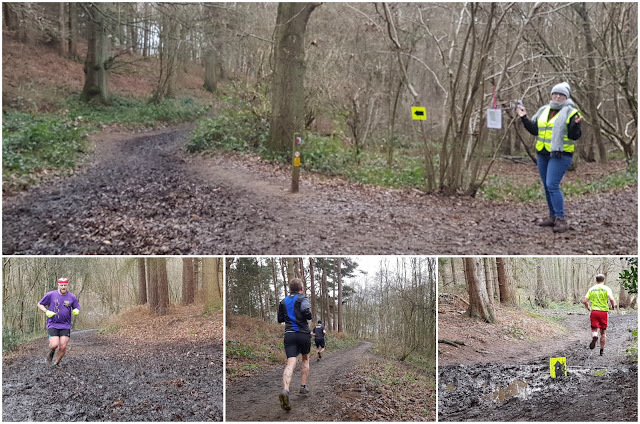 The course for this parkrun consists of running a shade under two, undulating (some would say hilly), anti-clockwise laps around the forest trail paths. Underfoot you will find a mixture of dirt and mud. In the winter there is a significant amount of mud to trudge through but given the nature of the course, I would swear trail shoes year-round here. So from the very beginning, the participants head along the generally firm, easy access path that provides links to all of the exciting, every day family fun things within the woods. Runners pass a few sculptured benches and then the Giant's Chair which is great fun for kids and adults alike. There are also other sculptures (including a giant spider) and fairy doors to seek out with the family post-run. However the parkrun course soon leaves the family friendly areas, the paths get muddier (seriously, it's a mud bath at times) and tree roots lie in wait, just waiting the grab an ankle. A runner in front of me twisted his ankle and it sounded pretty painful - fortunately he was right next to one of the wonderful marshals when it happened so help was at hand. Even though some runners may prefer to wear spikes on this type of course, the venue management have requested that spikes are not worn. The country park is made up of conifer plantations, deciduous woodland, lowland heath and meadows. Most of the trees are fir, pine and spruce which were planted in the 1940s while the area was still part of the aforementioned estate. There are also pockets of ancient forest. It's also significant for wildlife which includes bats, adders, lizards, rare butterfly species, and topping the bill are the ten pairs of Grey Herons that breed in the heronry which you can see from the visitor centre. Part of the lap is run on a bridleway which is popular with horse riders, so participants are not permitted to run with a dog at this venue. Also, I'd think twice before running with a buggy here, especially in the winter and/or if you're not experienced with off-road buggy running. Towards the end of the lap, participants can enjoy the view across the Buckinghamshire countryside as the route follows the western boundary of the woods. If you think you've run a personal best, you can pick up the mallet and strike the PB Gong! Seriously, this thing is incredible and as it was my first run here, it was technically a course best. So I grabbed the mallet and let the gong ring out. Afterwards I headed back onto the course to take some photos and I could hear the gong resonating through the woods everytime it rang. Brilliant! Once all of the participants have finished, the team head to the Tree Tops Cafe at the visitor centre for coffee. The results for event #113 were soon processed and a total of 150 people had completed the course - this is almost bang-on the average for this venue (currently 144.7). I recorded my run with my Garmin and you can see the course data, here: Rushmere parkrun GPS data. I also created a course fly-by video with the relive app, and you can view that, here: Rushmere parkrun course fly-by video. There's a very strong possibility that I'll swing back past Rushmere parkrun one day - I love off-road courses plus I think it would be a fun day out for the family. But my main reason will, of course, be to beat my previous time and truly earn the right to strike the PB gong!